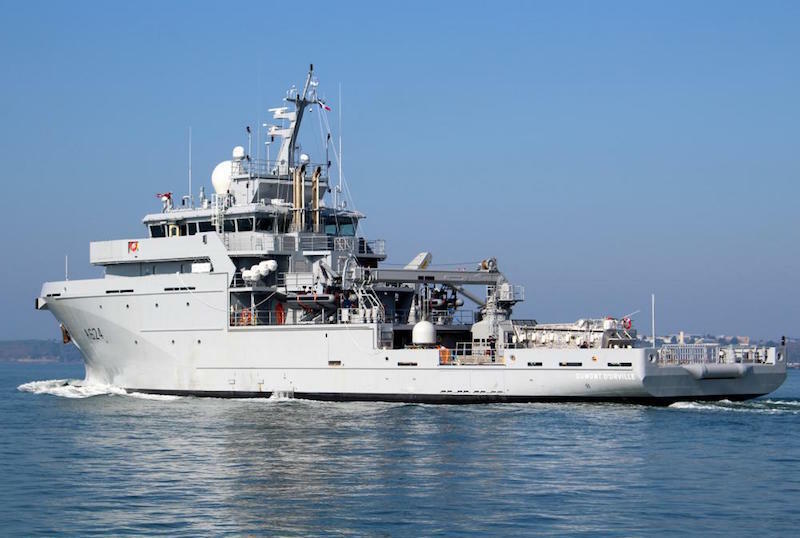 PARIS --- As part of the renewal of the operational capabilities of armed forces provided for by the 2019-2025 Program Law, the Directorate General of Armament (DGA) took delivery on April 5, 2019 of the Dumont d'Urville, the fourth and final ship of the Bâtiment de Soutien et d’Assistance Outre-Mer (BSAOM) class and formerly known as the Bâtiment Multi-Mission (B2M). She was commissioned in January 2017 by the Kership joint venture, which brings together Piriou and Naval Group. This new Navy vessel, currently located in Brest, will be home-ported in Fort-de-France in Martinique. The first BSAOM, D'Entrecasteaux, has been operating since July 2016 from Noumea, in New Caledonia. Bougainville, the second ship in the series, has been stationed in Papeete, Polynesia since December 2016. The third unit, Champlain, has been operating from her home-port of at Port-des-Galets, in Reunion Island, in the summer of 2017. 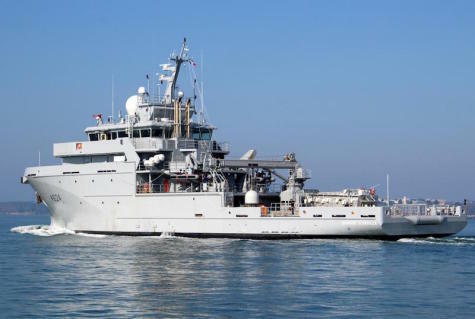 The BSAOMs are vessels intended to ensure overseas sovereignty missions, such as surveillance and protection of French interests in the exclusive economic zones, safeguarding and assist civil populations and other ships, as well as force-projection, transport of freight, or as diver mother ship. They are operated by two crews of 23 sailors who alternate every four months. Displacing around 2,300 tonnes, the BSAOMs can remain at sea for 30-days without refueling and can for 200 days a year. State investments in the defense industry are essential for the protection and safety of our fellow citizens. They are also an asset for the French economy as a whole, as each program launched with a manufacturer is a source of economic activity and jobs. Florence Parly, Minister of the Armies, observed that said that, "every program that is launched means jobs and wages, and our defense protects the French, so our defense industry protects employment".